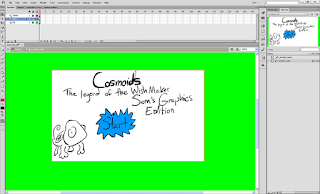 Cosmoids flash forum constest Games pokedex upgrade Pokemon ptd2 route 32 sam and dan games v1.32 weekly progress Sam's Graphics Edition, things you want done, and forum contest! Sam's Graphics Edition, things you want done, and forum contest! Welcome to another AMAZING week of Sam and Dan Games! It is me Sam and with my game development partner Dan bringing you the latest news on what we are thinking about and what our goals are for this week. Read on to find this and more out! Last week we had a nice little update we got to see more of the story for PTD2. Since PTD2 has such a fast development speed the story is actually made as we go. I try to stay 2-3 steps ahead and I also try to think about how the whole story will end. To me the story is about the evil in each person and how it can come out but also how we can control and stop it. I haven't seen a lot of comments or emails about the story itself, I'm curious to hear what some of you think about it so far. I'm not oblivious enough to know that a good amount of people just skip over all the text and just play the level which is why I tend to highlight very important bits so that even people skipping can get the hints. Next! The Fan forum is now the Official PTD forum and it's getting a ton of new members, you should check it out to connect with other fans. If that is not enough then you will be happy to know that the forum is throwing a contest that is giving away shiny mews! Here is a video of Link's Collection http://youtu.be/9xP5Mfohp1o ! So making a game can be a very challenging task. As a game designer you want to test out gameplay ideas as fast as possible. You want to see how your idea looks like when you can actually play it. Usually what I do is that I will think about an idea and I will do my best to visualize the idea in my head. If the idea seems good enough then the next step is to program it into the game and play with it to see if its as good as you thought it was. For PTD2 this process is pretty easy, all of the graphics are already made I just need to cut them out and place them on the right spot. This makes it real fast and easy to try out new ideas and it makes the weekly updates possible. For Creature Universe TD since the graphics are not done then it becomes a lot harder to develop. Also using different languages and frameworks (programming stuff) that I have no experience with can start making simple things harder to do. Good quality graphics take many hours and hours to make. So how can I focus on the gameplay when I'm waiting for graphics and have to deal with programming issues. Well you make your own graphics and you stick with the programming that you know! The goal here is to make an alpha version of the game that focuses on the gameplay while having what people call "programmer's graphics" in this case we are calling them "Sam's Graphics" so while the nice graphics are being carefully crafted I can still move on with design ideas and development and then at some point start swapping in the finished graphics. Time for the Weekly Progress! Weekly Progress- Things you want done! Every week I ask you guys to post what you want to get done for the next week in the blog comments. One of the things that I read a lot is to expand the Pokedex to include a lot of the pokemon that you are getting in the game and on Mystery Gifts. So this week I will start that process with the Generation 1 pokedex being added. Just like when the pokedex came out it will count what you have right now as if you had all the previous stages. For example if you have a shiny raticate it will count as if you also had a shiny rattata at some point. After the first time you log in it will no longer do this and only count what you have with you. So after that if you traded for a shadow Blastoise (not possible yet) it would only count as a Shadow Blastoise in the pokedex but not as a Shadow Squirtle and Wartortle. So pretty much don't worry about it! For Mystery Gift this week we will have the remaining types: Poison, Rock and Bug to choose from and then I will pick a selection from that for you guys to vote on. Finally I will be adding part of Route 32. You won't be able to access all of it right away since it is a big route with a bunch of things on it. Instead of rushing it and it being empty I will do it in parts as needed for the story. It will include new pokemon to catch! Something that I want to do for catching these new pokemon is to give them more interesting waves, instead of just a free roam type of level it might be a level that you can lose in but still have things to catch. Very similar to PTD1 levels. I'm also fixing some critical bugs. The ability Hyper Cutter not showing up properly when you go to switch Trapinch's ability. A problem with Night Shade and a problem with Falkner's dialog showing up when you beat Lugia. As I do every week the list below is how I'm doing in all these different areas and if I'm currently working. I update this throughout the week so keep checking back to see how I'm doing. That's what we have for you this week. Check back often to see how we are doing and as always let us know what you think and what you want. Sam out!